I guess the 50 pack is more versatile? I don't know. Seems silly to me. Because one is based on the cost per stun gun price multiplied by 50, and the other is a fully crafted prototype. The point is that 50 salvage is exactly one prototype, so the price should be the same. If anything, the prototype should cost a bit more, since some credits are spent when crafting, but it's the other way around. I'm guessing the answer here is "whoever set the prices wasn't really paying attention." To nickel and dime us my friend. Simple as that. 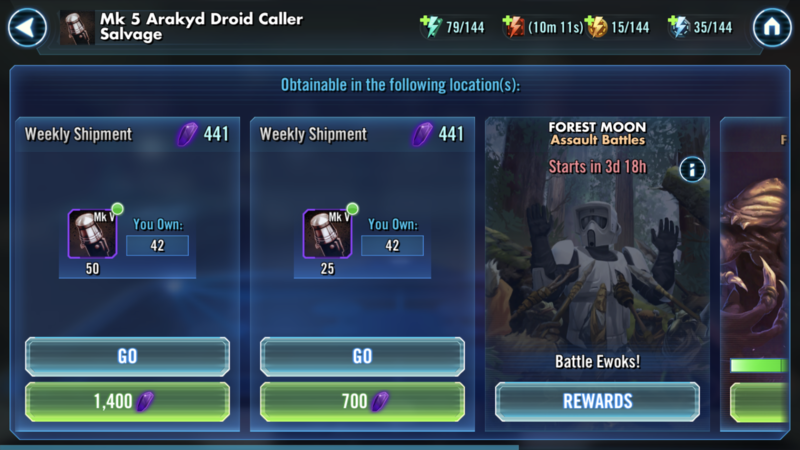 Only after a major store update did they start selling the salvage individually at 520 crystals for 20 pieces. --> This comes out to be 26 crystals per salvage. That makes sense as when you buy 'in bulk' the finished product is 1274, but buying only parts at a time would get you to 1300. Makes sense to have the lower quantity slightly marked up, but having 50 of them more than a prototype is dumb. Don’t forget the credits you’ve been saving on crafting too. Yup! Can't forget about the 13k space bucks.